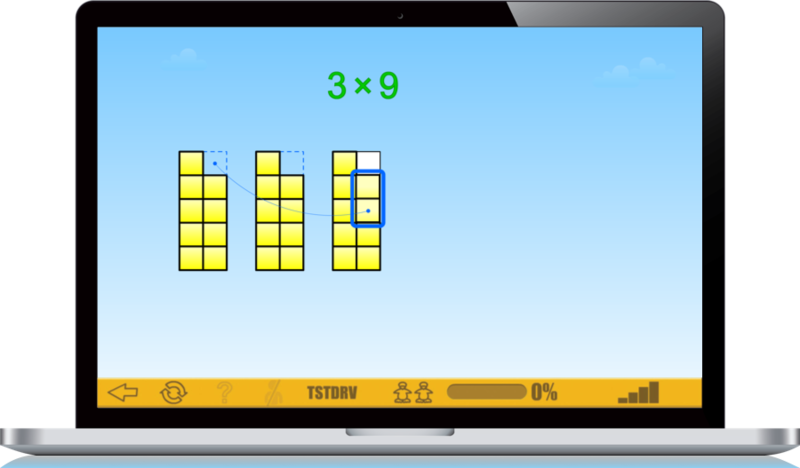 When it comes to finding a good math learning software, it’s trickier than first meets the eye. Every solution is labeled with the latest buzzwords regarding the program’s features, but how can educators actually identify what works? Trying to sort the good stuff from the junk is a lot like trying to purchase a healthy snack at the grocery store. A snack bar with “high-protein” and “Omega-3s” displayed on the front of the wrapper might look like a good option, but once you look at the back label it turns out that the first ingredient is added sugar. Just like anything you would find in the snack aisle at the grocery store, education software is made up of different ingredients. And just as sugar isn’t inherently bad in snacks (as long as it’s not the first thing on the ingredient list), it’s important to pay attention to the overall makeup of an edtech product, as well as the individual pieces. 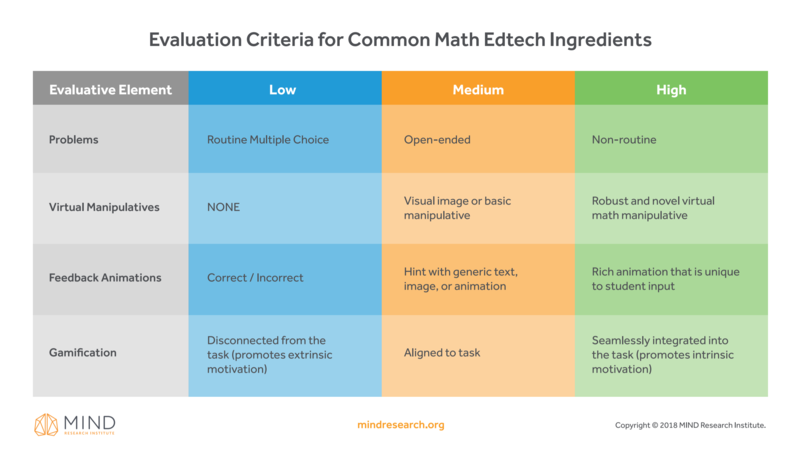 Keep reading for a breakdown of the 5 most common ingredients found in math edtech software and their different impact on educational outcomes. In order to judge a program’s efficacy, or determine whether it’s designed to provide practice or learning experiences, it’s important to determine the types of problems the program asks students to answer. Practice problems are one of the most common ingredients in any digital program. Rather than working on a paper worksheet of practice questions, students can solve problems online where they have the benefit of moving at their own pace and being immediately graded. Whether its multiple choice or open-ended questions, the focus is on recalling something you’ve learned at a previous point in time. We know practice is a key part of learning for strengthening connections and honing previously learned skills, but it’s important to understand that edtech software that primarily provides practice questions is not designed to facilitate deep conceptual learning. Edtech programs that primarily provide non-routine problems push kids to think creatively and struggle through new situations. Non-routine problems are simply situations which kids have never been presented with before. As a result, it requires them not figuring out how to solve the problem, but creating a schema to even understand what the problem is asking in the first place. You’ll know your math edtech program has this because rather than applying memorized procedures to the problems posed, your kids will actually be thinking! Kids love games! Why not wrap practice problems in games to make them more engaging? Some examples include features like building an avatar before starting practice problems or earning coins while answering questions to purchase prizes. 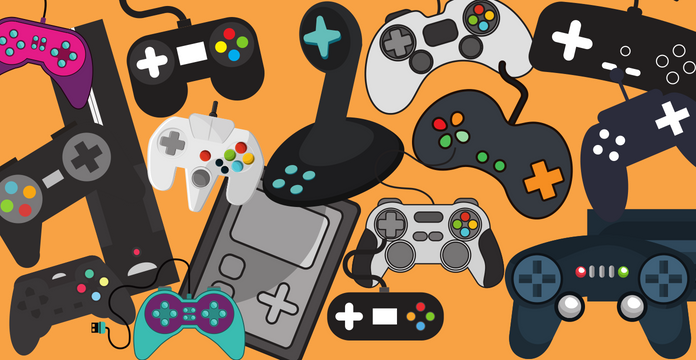 This typically results in what the game industry refers to as “chocolate covered broccoli.” The promise is that the program will provide a deeper level of engagement through gamification, while in reality the results can vary greatly. If the gaming elements are just a layer slapped on top of routine math problems, students will be more engaged in changing their avatar’s hair color than problem solving. When game elements are included in a strategic and effective way, they amplify learning without being distracting. 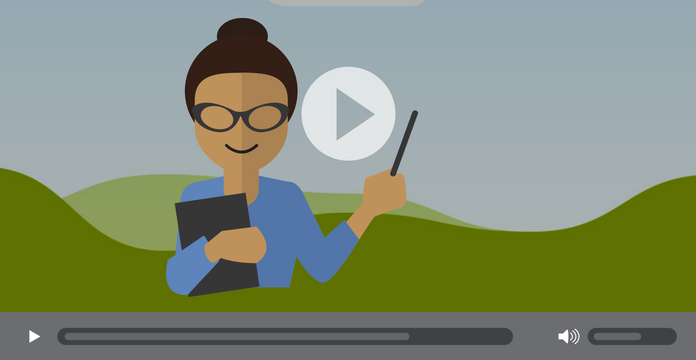 Video elements can take some weight off of teachers by providing direct instruction in an online 1:1 format for every student. With the added benefits of pausing and rewinding as many times as the student needs to, video instruction seems like a no-brainer. Of course, this doesn't always work so well in practice: there’s no easy way to determine that a student is paying attention or even understanding the content, in what still ends up being a passive transfer of information. However, if done right and paired with a hands-on experience, video is one way to communicate ideas, especially if audio is combined with informative visuals. Manipulatives are a fantastic way to help students develop a conceptual understanding of math. It’s the difference between telling a student about a dog versus allowing a student to play with a dog. However, it can be tricky to meaningfully facilitate a class of many students through a manipulative-driven lesson and ensure meaningful learning happens. Virtual manipulatives have a set of benefits which physical ones don’t have. However, sticking a set of blocks on a web page and expecting students to learn has about the same effect as sticking a set of blocks on a table and expecting students to learn. The interaction needs to be combined with a set of problems that guide the manipulative play experience. It is also important to realize that not all virtual manipulatives are the same. Some are merely a copy of what is done in the physical world, just digital. These include blocks, pie charts for fractions, basic number line models and other common examples. More advanced examples utilize the digital medium to showcase things that cannot be easily modeled in the physical world. This includes modeling how fraction pies roll onto the number line, building a fraction multiplication model where you can create the total number of parts and parts to fill, and even visual models that show branching exponents. When you have this second class of manipulatives well integrated into puzzles, it allows for a new kind of hands-on learning that is enabled by technology. The magic of making learning happen is immediate informative feedback. It's something that can be very hard to facilitate in a classroom on an individual level. However, 1:1 technology can enable a classroom of many kids to get feedback on how close their choice was to the correct answer. By showcasing feedback through rich animations, informative feedback helps to trigger the brain's perception action cycle which is the key to building schema. A lack of informative feedback equates to a lack of schema building. In order to build schema, feedback must be tailored to the student, their thinking and their response. A generic set of descriptions and hints might help a student arrive at the right answer, but won't facilitate deep, conceptual learning in the same way. How Can You Tell What Works? The above are just a sample of some of the most common ingredients you’ll find in math software. The question that comes next is, which ones do you need in your software? The answer depends on your goal. If you're looking for extra practice, digital worksheets are a fantastic tool. If your goal is direct instruction, programs with online videos do a great job. 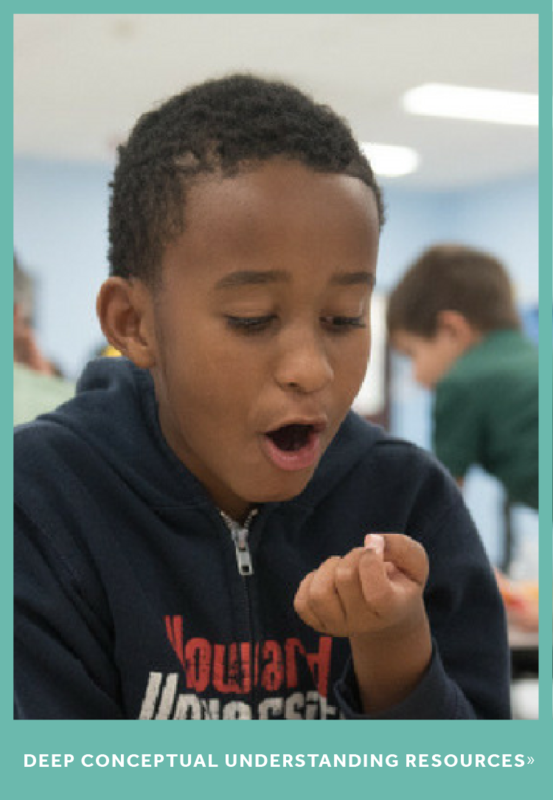 However, if your goal is a rich math experience that encourages conceptual learning, you’ll probably want something a little different. 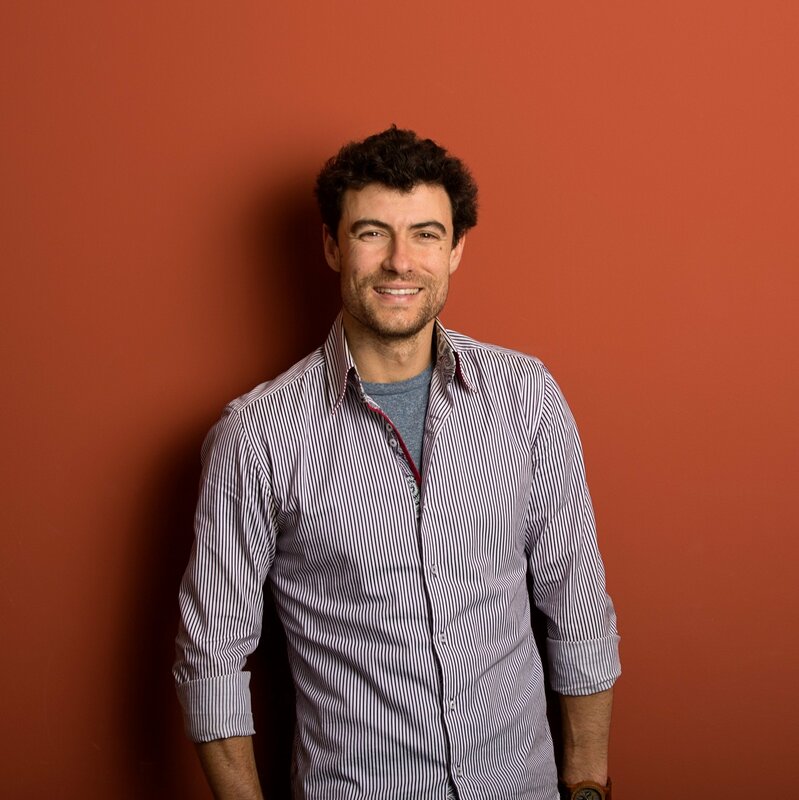 In his book, “The Game Believes in You,” Greg Toppo writes about a new class of math content. He refers to this content as, “How Euclid Would Have Taught Math if He’d had an iPad.” This new category of math content doesn’t use technology to replicate something previously done in a classroom, it uses technology to do something that is impossible without it. Rather than using technology for technology sake, this is technology for learning. 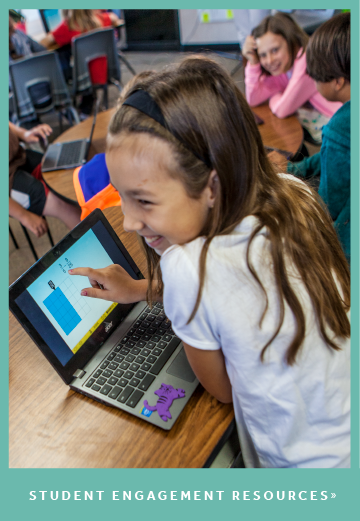 What he describes is what computers have enabled - using an interactive math manipulative with a problem wrapped around it to give students a purpose and provide them with feedback as they persevere in problem solving.